Yes, I collect The Duke! 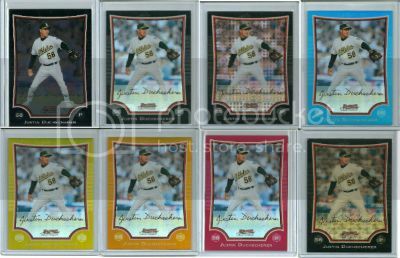 If you have any of the SP or SSP of Justin Duchscherer listed below, pm me or post a scan. I have PayPal available and cards FT in my bucket. Thanks!